The government is undertaking many structural reforms and restructuring different institutions. The policy-making powers have been taken away from the Federal Board of Revenue and a new airline is expected to take off soon. 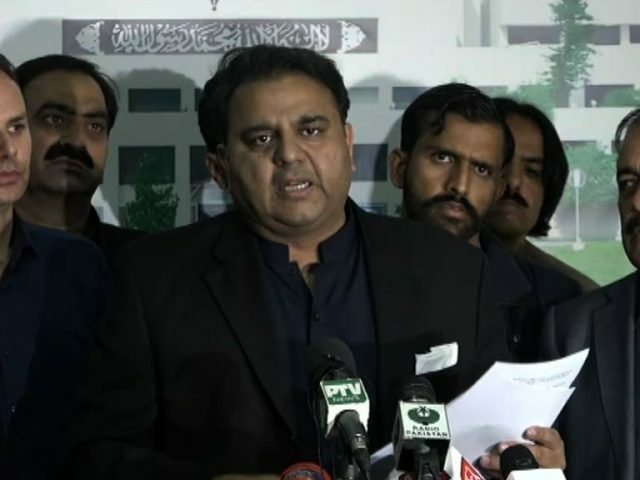 Information Minister Fawad Chaudhry shared the decisions approved by the Cabinet on Thursday. The government has granted licence to a new airline, Liberty Air Limited, he said. Moreover, a board will be formed to look after policy-making decisions, while FBR will ensure the execution of the policies. “The business community has been making this demand since a long time,” he remarked. The Evacuee Trust Property Board will be restructured and Dr Ishrat Husain, the adviser to PM on institutional reforms and austerity, will make a task force over this, Chaudhry said. “The last two chairmen of the board are being investigated over the lack of transparency in the board,” he said. On Wednesday, Prime Minister Imran Khan ordered a forensic audit of the board. He had expressed concerns over the alleged wide-scale administrative and financial irregularities in the board. The cabinet approved some new appointments too. Riaz Memon has been appointed as the chairperson of the Trading Corporation of Pakistan, while Ahmed Nawaz Sukhera will be the new secretary of the Board of Investment. Moreover, a new policy board for SECP will be constituted. It will include Dr Khalid Mirza, Sadiq Saeed, Farrukh H Khan, Adnan Afridi, Waqarul Islam, and Saeed Asad Ali Shah. The UK and Pakistan have signed a protocol under which there will be a transfer of prisoners. “The Pakistani prisoners in the UK will be shifted here,” he said. On PM Imran Khan’s visit to China, Chaudhry said that it was quite successful. “All our problems will be solved soon,” he remarked. Chaudhry remarked that the media reported the Aasia Bibi case irresponsible. Aasia Bibi is a Christian woman who was recently acquitted by the Supreme Court in a blasphemy case. “We are a sovereign country,” he said dismissing the reports that a foreign ambassador has come to Pakistan to take her.